The photographer is standing on Histon's down platform as a St Ives bound dmu arrives. 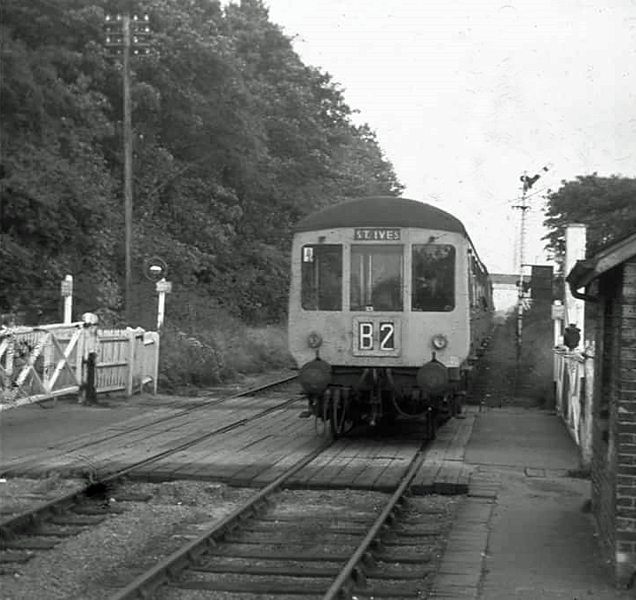 The year is around 1969, not long before closure of the service. Note the down home signal and the dome lamp at the pedestrian gates. Image with kind permission of Dave Gent.